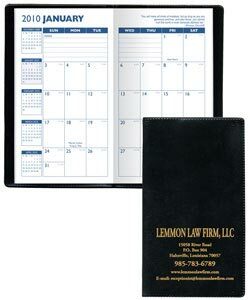 Personalized Monthly Planner Custom Printed in Bulk. Leatherette (Leather-Look) Cover. Promotional, Inexpensive. Budget Prices in the USA and Canada. Premium Castllion Covers. Burgundy, Navy, Hunter Green, Black. 2 Color Insert. Personalized Monthly Planners with top quality Castillion Leatherette (Leather Imitation) covers. We also supply blank (not imprinted) Monthly Planner at EQP (End Quantity Price). 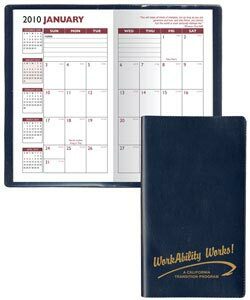 Lowest cost in USA and Canada for promotional Leatherette Monthly Planners. American clients pay no taxes. Our month at a glance format features 32 pages and shows one month on a two page spread. The planner inside is printed in two colors and runs 14 months, from December through January. 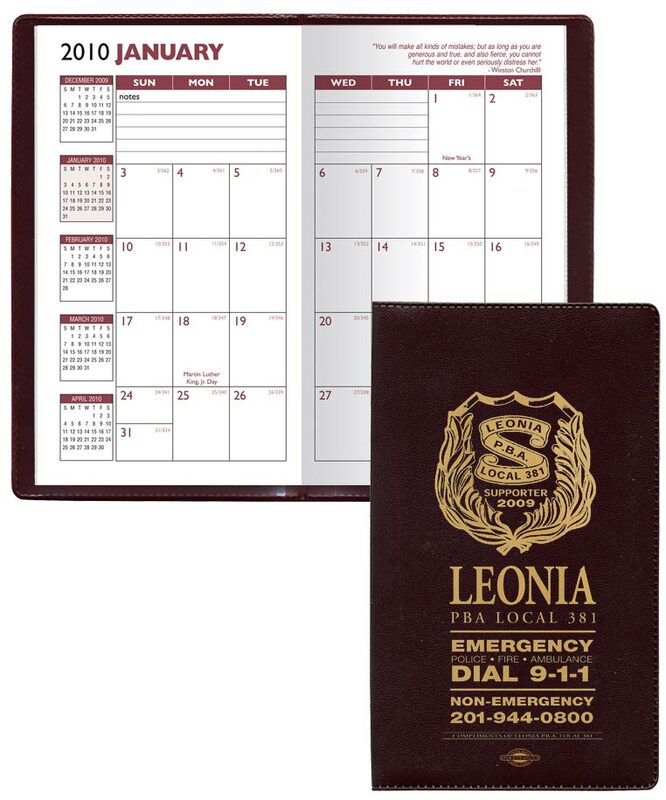 This planner includes pages for important phone numbers and dates as well as an area for advance planning. Also included are a metric conversion chart, time zone chart, area code map and important holidays page. Maximum Imprint Area: Standard imprints are up to 2-3/4"x 5"
Brass Corners- Item #MCP, add $0.35 per planner.